Like everyone, Barbie and her friends each have a different look, personality and sense of style, but that doesn't stop them from having fun together! Each Fashionista doll is unique in her look and style as there are 14 different facial sculpts, 8 skin tones, 18 eye colours, 22 hair styles, and 23 hair colours and fashions inspired by global fashion to collect. Lily loves her Barbies, her new Barbie Fashionista doll is already one of her favourites as she knows that it's unique just for her. 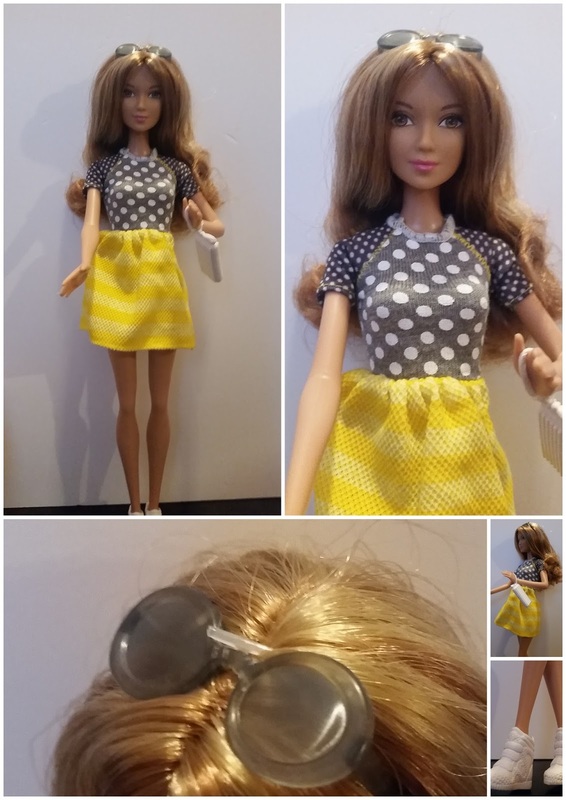 She likes the bright yellow skirt and polka dotted top that she's wearing and loves her ombre coloured wavy hair. It's a very pretty doll. 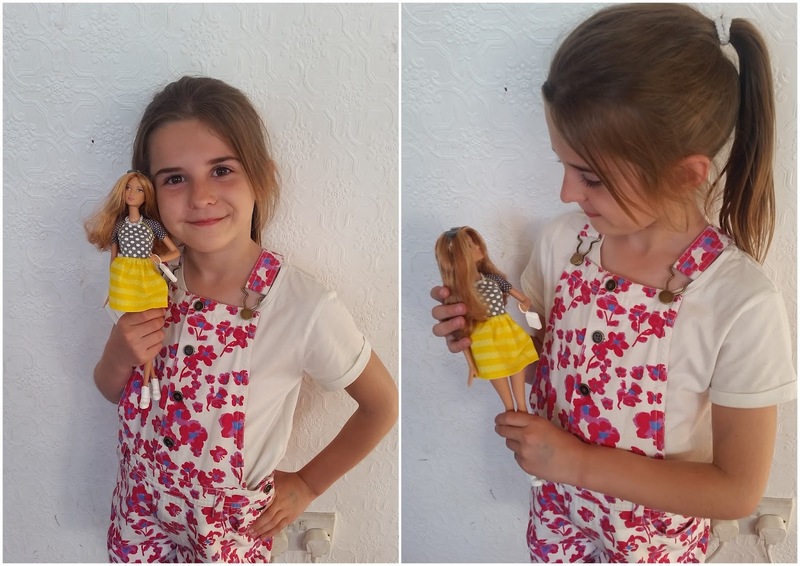 Lily has been dressing up to be a Fashionista just like her new Barbie. 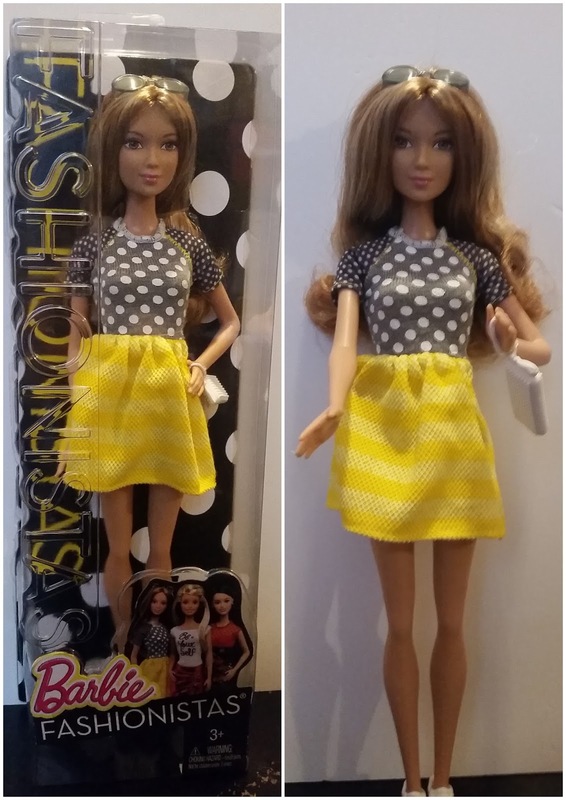 The Barbie Fashionista dolls are brought to us by Mattel and retail at around £7.99 which makes them great 'pocket money' priced toys or reward treats maybe. They're aimed at children aged 3 and over as some of the dolls may include small parts. Our Barbie Fashionista doll came complete with a removable handbag and sunglasses. She's wearing some pretty cool sneakers too, which Lily now wants a pair of. I've been really pleased with the Barbie Fashionist doll. It's very pretty, stylishly (yet not inappropriately) dressed and doesn't cost too much money. Lily is happy with it which means I am happy with it, together we give her a firm Fashionista thumbs up. Disclosure: We received our Fashionista doll in return for an honest review.